Therefore, it is best to turn towards homemade face packs for dry skin that not only work but have zero side effects. In addition, these remedies also help in adding tips for glowing skin homemade. 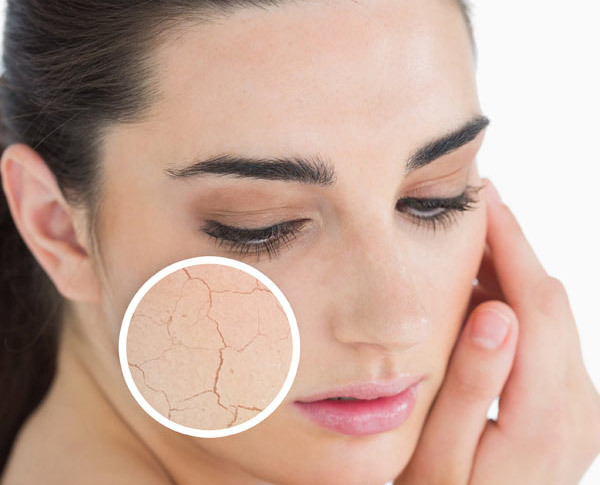 What Are The Reasons For Dry Skin? Pamper your skin with these wholesome natural ingredients and keep dry, rough, dull and flaky skin at bay naturally. Get set to prepare your own face pack for dry skin. This delicious and juicy fruit is a great source of antioxidants, flavonoids, pantothenic acid, vitamin B and minerals such as potassium and magnesium that has immense benefits for the skin. Vitamin A present in papaya rejuvenates and nourishes dry and rough skin whereas potassium helps in hydrating skin cells and restoring moisture. Regular application of papaya also prevents skin aging, wrinkles and age spots. The benefits of honey for skin and hair need no new emphasis. It functions as a natural moisturizer that increases the skin’s capacity to retain moisture and also exfoliates skin to remove dead cells and improve skin tone. 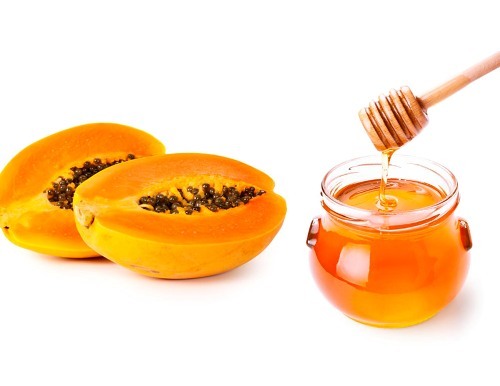 Method-Mash the papaya thoroughly to form a smooth paste and add the honey to it, mix well and apply on clean face, let it stay for 30 minutes and wash off properly with water. Repeat it 3-4 times per week to get silky smooth and glowing skin. Milk is the ultimate natural moisturizer loaded with antioxidants, vitamin B, protein and minerals such as calcium, potassium, magnesium, and selenium. It is also a great natural source of benefits of biotin. The nutrients in milk rejuvenate the damaged skin cells, restores moisture to skin to prevent dryness and peeling of skin as it the best face pack for dry skin. Potassium present in milk soothes the itchiness of dry skin and hydrates it. Almond is a rich source of vitamin E, antioxidants and proteins that are the basic requirements for maintaining healthy and well-nourished skin. It is also an effective anti-aging agent that prevents the appearance of wrinkles, fine lines and age spots and it is also an easy homemade face pack for dry skin. 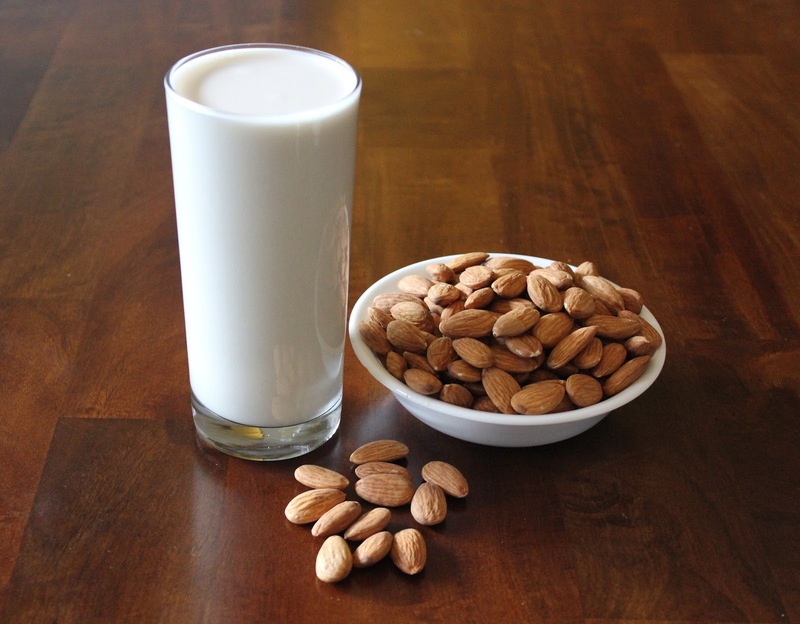 Method-Soak the almonds in water for 1-2 hours so that they turn soft, now ground it into a thick paste and add the milk to it, mix well and apply on clean face, massage gently in soft circular motions for 2 minutes, let it stay for 20-30 minutes and wash off with water. Repeat it 2-3 times per week to make skin soft, supple and healthy. Being a rich source of antioxidants, phytochemicals, and moisture, banana acts a nourishing natural remedy to treat dry, rough and dull skin. It heals withered skin, rejuvenates the damaged skin cells and promotes cell generation to improve skin tone and add a natural glow to it. It is loaded with potassium, one of the major minerals that moisturize dehydrated skin. 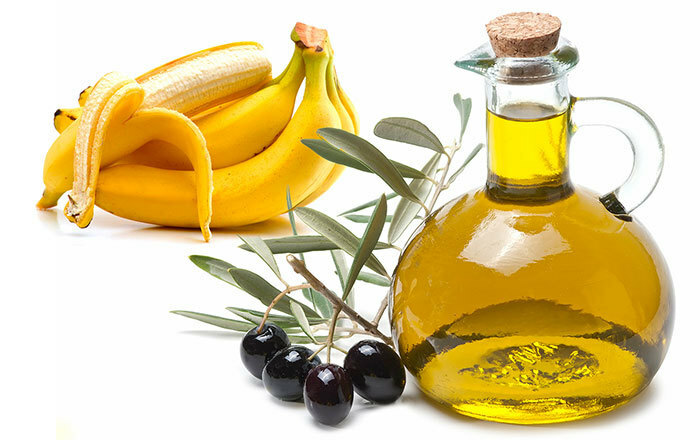 The benefits of natural oils for skin and hair are numerous and olive oil has been used since ancient times to moisturize and rejuvenate dry skin face. It is a perfect moisturizer for dry skin face and best homemade face pack for dry skin that helps in regenerating skin tissue and makes it supple and youthful. Method-Peel one ripe banana and mash it to form a smooth paste, add 1 tablespoon of olive oil to it, mix well and apply on clean face, let it stay for 20 minutes and wash off thoroughly with water. Repeat it 2-3 times per week to get naturally glowing, soft and blemish free skin. Yogurt is a rich source of multi-vitamins and lactic acid that improves complexion and adds a healthy glow to the skin. It functions as a deep moisturizer that revives dull skin. Lactic acid present in yogurt helps in exfoliating, restoring moisture and hydrating dry and rough skin. The nutrients in yogurt have effective anti-inflammatory and anti-oxidant properties that revoke the damage caused by oxidative stress and free radicals and acts as a natural remedy for pigmentation, age spots, wrinkles, and fine lines. Rosewater acts as a natural cleanser that removes oil, sebum, impurities, dirt and dead cells from the skin. Method-Take 2 tablespoons of yogurt in a glass bowl and whisk it well, add 1 tablespoon of rosewater to it, mix and apply on clean face, let it stay for 30 minutes and wash off with water. Repeat this homemade face pack for dry skin 2-3 times per week to get brighter, smoother and softer skin and balance uneven skin tone. Aloe vera is extremely beneficial for skin and hair. The gel helps in hydrating and nourishing dry skin and improving the skin’s capacity to retain moisture. It prevents itching and infection and rejuvenates cracked skin. 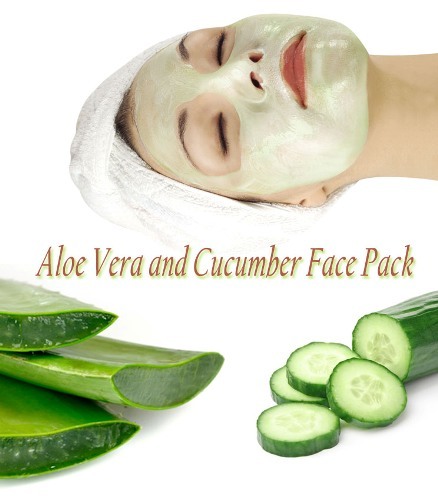 Cucumber is 95% water that helps in maintaining skin moisture and hydrates dry skin to make it soft, smooth and supple. Method-Cut an aloe vera leaf and scrape out the gel from it and keep aside. Grate some cucumber and mix it with the aloe vera gel, apply on face and other drier areas, let it stay for 30 minutes and wash off with water. Repeat it 3-4 times per week to get flawless and well-hydrated skin. This expensive spice has been used for centuries as an effective beauty ingredient for nourishing skin. The benefits of saffron for skin are time tested that helps in adding a natural glow to the skin by improving skin tone and making it supple and lively. It also helps in reducing dullness and dryness of skin and gives it a luminous appearance. Milk cream or “malai” is especially beneficial for nourishing dry skin. It supplies the much-needed hydration to dull and lifeless skin. 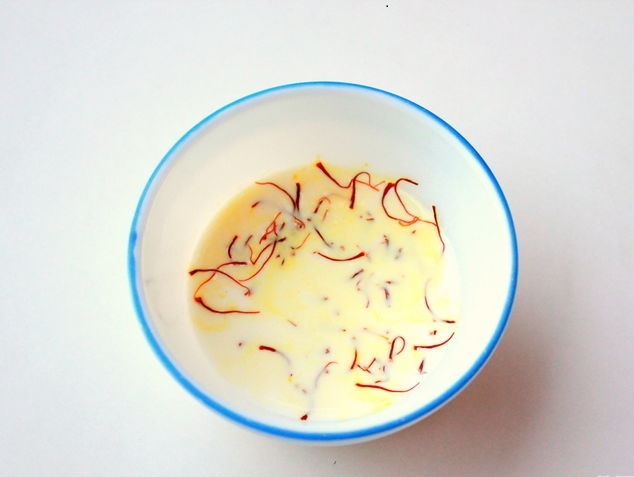 Method-Take the milk cream in a glass bowl and add the strands of saffron to it and keep aside for 10 minutes, mix well and apply on face, let it stay for 30 minutes and wash off with water. Repeat it 3-4 times per week to enhance skin tone, and make it soft, smooth and glowing. Gram flour acts as a natural skin exfoliator that helps in removing skin tan naturally. It also helps in cleansing the face and removing dead cells, impurities and dirt that clogs the pores and causes pimples and acne. Gram flour when mixed with curd helps in rejuvenating and moisturizing dry and dull skin, improves skin tone and adds a healthy glow to it. Method-Take the gram flour in a glass bowl and add the curd to it, mix well to form a smooth paste and apply on clean face, let it stay for 20 minutes and wash off with water, follow it up with a moisturizer. Repeat it 2-3 times a week to exfoliate skin, remove dirt, impurities and dead cells from skin and improve skin tone. Try out these effective and deep nourishing homemade face packs for dry skin prepared using all natural ingredients and say goodbye to dry and flaky skin, roughness, dullness and add a lovely glow to the skin. This entry was posted in Nails, Skin and tagged dry skin, face pack, Homemade beauty tips. I am a male, 34 yrs and have extremely dry skin (such that I sometimes apply cold cream in summer !). To add to the woes I work in harsh climate conditions in steel plant. My skin is very dull and lusterless. I drink plenty of water and neither smoke nor take oily food. I rarely have had pimples and acne. What should I do? i got small whiteheads on my cheeks and forehead too it makes my skin too rough what should i do?? please suggest some remedies.. I have extremely dry and dull flaky skin. Getting married in 2 monrhs. My skin also gets rashes with most products. Pls suggest some cream that is very moisturing and helps bring a glow to my skin. You are on the right page, try following these face packs. I have dry and dull skin with black spot and little wrinkles on my face . Please suggest me what to use? you can take 1 capsule per day and 1 capsule can be also applied externally on skin. My skin is fair bt its dry.after washing my face it becomes so rough.what home made face pack shud i use? Hi Apila you can use Papaya fairness cream and Night gold cream day and night respectively which will help your skin to become flawless and fairer. Hello! I have a dry skin and small black spots on it..Kindly suggest me a home made face pack so that its glow.And tell me how to remove black spots. Hi Koyel Kindly go through the article and you will get variuos home pade face packs which will help for dry skin, spots and also glowing of skin. i have dark circle from last two year. And recently i am seeing that my skin is going to dry. Pls. Suggest me what should i do? You are most welcome Raji. I have under eye dark circle & its looks very odd, Please suggest me a good moisturizer for dry, dull facial skin.. please send me through mail.. I have under eye dark circle, Please suggest me a good moisturizer for dry dull facial skin. There is no doubt that today most of the people do lots of things for skin care but they don’t get best result. I think your post really helpful to those people, thanks for sharing the post.